What do you do if you’re a computer-generated avatar with an Instagram account. You don't have many followers, but you have designs on being properly Instafamous? The answer to this seemingly improbable question: You pick a virtual celebrity, then hold them to ransom by hacking their account. It’s April 2018. But too late for April Fools Day. 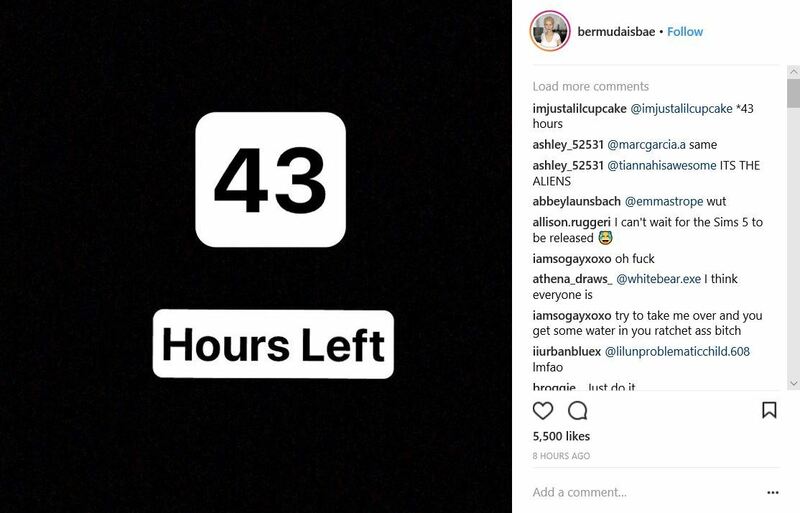 This unlikely scenario has just been played out by Bermuda on Lil Miquela. 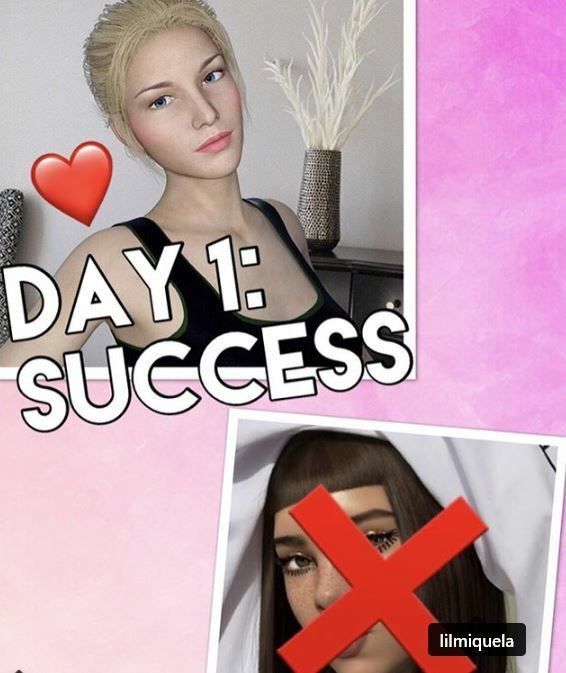 Earlier this week Bermuda a computer-generated avatar with around 2,000 Instagram followers at the time, and a more than passing resemblance to a Sims character, hacked into Lil Miquela’s Instagram account for around a day. "Ok, Miquela. I tried being nice. I called, I texted. I didn’t want this to be hard, but you brought this on yourself. See you tomorrow, world" warned Bermuda the day before taking control of 'her' enemy's Instagram account. The following day Bermuda hacked into Lil Miquela's account. Deleted all published posts and started posting to the profile. "Since so many of you are curious, let's get to know each other" she wrote. This prompted Lil Miquela to turn to Twitter and ask Instagram for help. "Can someone DM ASAP?? I NEED HELP!" She implored. The stunt has worked. Bermuda's 2,000 followers have since swelled to over 50,000. And there is more to come. 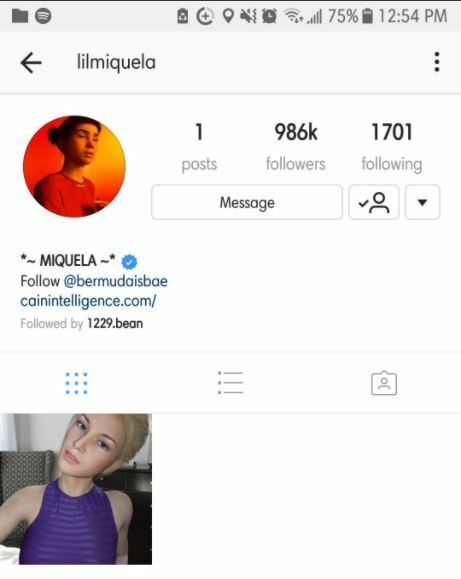 Bermuda has threatened to expose the person behind the successful Lil Miquela handle on Friday if they don't come forward first. Miquela Sousa, better known as Lil Miquela is a Brazilian American computer-generated Instagram model and music artist from Downey, California. Lil Miquela has been active on Instagram as lilmiquela since mid 2016. In under two years she’s acquired a million followers organically. Around half of this audience as added in the last three month. 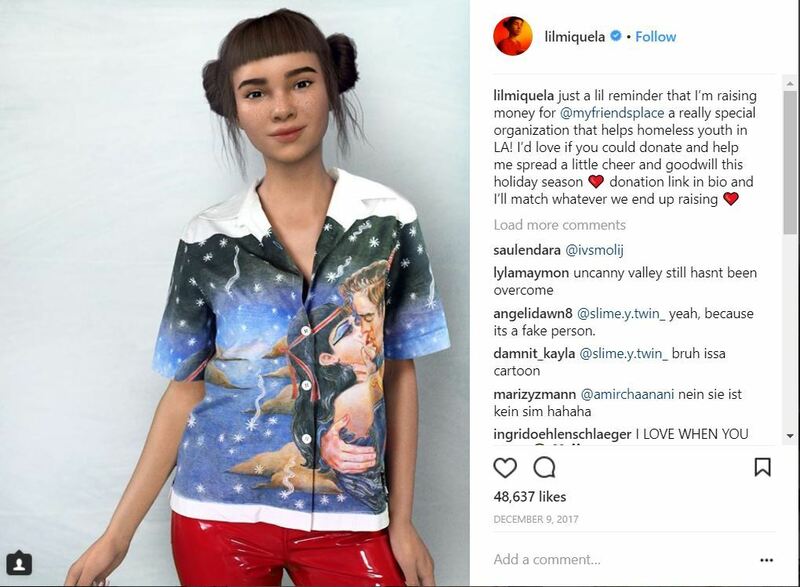 Lil Miquela says she has made money from her music, but has “never been paid to wear pieces" however she's "starting to get sent free stuff from brands.” She says she’s passed on profit from her merchandising sales to charity. A particular charity of choice is My Friends Place, an organisation with the aim of assisting and inspiring homeless youth to build self-sufficient lives. Whereas Lil Miquela is a philanthropist, champion of young boys who prevent a suicide attempt, singer of up-beat (if vacuous) pop songs and advocate of openness and racial equality, Bermuda is a right-leaning Trump supporter, who doesn’t believe in climate control, feminism or LGBT rights. Bermuda claims to be the creation of Daniel Cain of Cain Intelligence. In an Instagram post published during the Lil Miquela take-over she wrote: "I came into this world in 2017. I proudly call Cain Intelligence my home and I consider the amazing people who work there to be family. Daniel Cain is a literal genius moving this country [the United States] forward without any real thank you or acknowledgement." Under the ‘latest’ section of the Cain Intelligence website it says: “At Cain we've always strived to be leaders in a world overrun with followers. We're passionate about creating a consumer facing example of our Artificial Intelligence learnings. We are proud to present Bermuda! I've written before about Lil Miquela and her place as a CGI fully-paid up member of the Instafamous. As media mastheads and social media platforms crack down on fake news is it really any surprise that political supporters at each end of the spectrum would turn to avatar influencers to fight their corners? 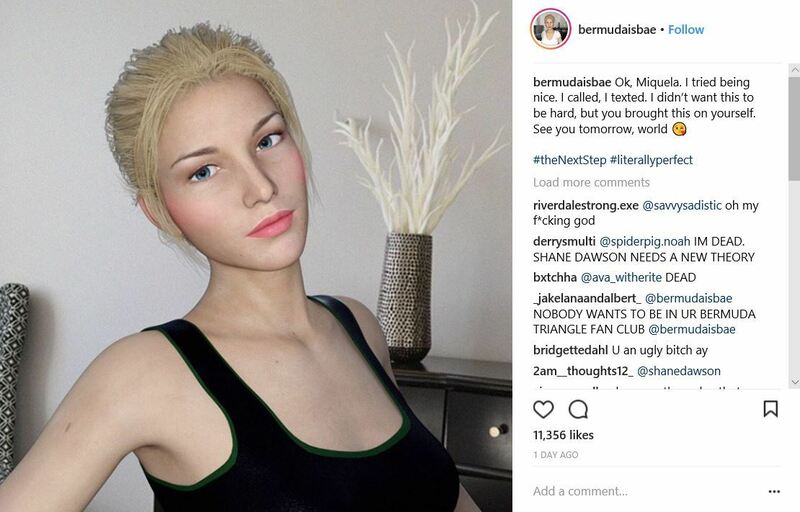 Virtual influencers like Lil Miquela and Bermuda raise uncomfortable questions about disclosure. Last year, the Federal Trade Commission updated its endorsement guides. 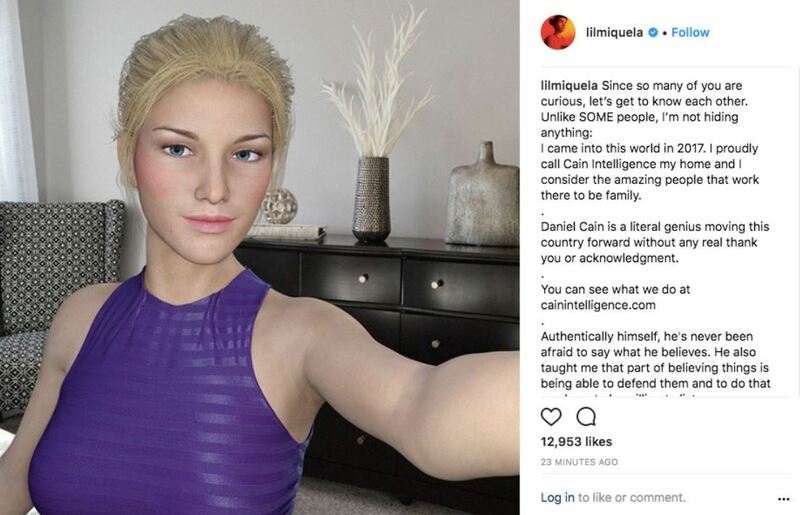 Influencers are now required to disclose their marketing relationships and identify paid posts with a hashtag like #ad or #sponsored—but it’s not clear how those rules would apply to influencers who aren't human, and whose backers, like Lil Miquela’s, are shrouding themselves in mystery.